The efficacy of the gold standard for bipolar treatment has been reported to be as high as 80%, but in the real world, that number is more like 25%. Why the disparity, what can be done for our treatment-resistant bipolar patients. Welcome to the Clinicians Round Table. I am Dr. Leslie Lundt, your host, and with me today is Dr. Robert Post. Dr. Post is Professor of Psychiatry at George Washington University and Penn State College of Medicine and Head of the Bipolar Collaborative Network. For 37 years, he worked at the NIMH studying and treating treatment-resistant unipolar and bipolar patients. He has won more than a dozen national and international awards for his research. He has just published a new book, Treatment of Bipolar Illness, A Casebook For Clinicians And Patients. It’s an honor to have you here at ReachMD. Welcome Dr. Post. Well, thank you very much. I am very happy to be here as well. We are excited to learn from you, in all the years to have studied this really very difficult to treat condition. Tell us about the treatment resistance in bipolar disorder. Yes, well it’s actually very common and underestimated, and there are several reasons for that. In some of the basic clinical trials of lithium, they use very highly selected patients without many of co-occurring conditions and in real practice, the type of patients who generally show a poor response to lithium are in fact very common. So these types of patients include those with a history of co-occurring anxiety disorder, bipolar patients who have substance abuse and both of those occur in about 40% of bipolar patients. Also those with dysphoric mania and those with a rapid cycling course, i.e. they have 4 or more episodes per year are generally poorly responsive to lithium. Another reason for the discrepancy is that in a clinical trial, a drug gets approved only if it beats placebo and usually they are talking about 50% improvement and what we are really interested in as clinicians and what the patient wants is to actually get better or into remission and this is particularly important because residual symptoms of either depression or mania are predictors of a more major relapse. So the goal is to get well and keep well in the long term and many of the clinical studies actually don’t have that as the major focus. In your book, you talk a lot about the life chart and how that can help us treat bipolar patients and it sounds like that really fits in nicely with these subtypes of the substance-abusing patient, the dysphoric manic, rapid cycling that we might be able to pick all that up in a really good history using a life chart. Yeah, and I think it is very important if the patients themselves or even a family member can do a careful moon chart because this really lets you evaluate the completeness of response to a drug and it brings the patient and the family into the treatment team as an active partner focussing on long-term wellness. It also allows one to sort of have an early warning system and that is if some symptoms are starting to occur like specifically somebody has a loss of 2 hours of sleep for 2 nights in a row, that they can have that as a focus, talk with a doctor about what to do and either change their medications or call the doctor. So that kind of thing heads off more major episodes and what we have seen in the casebook that we wrote was that, in fact every chapter in the book has a life chart illustration of the patient and it really helps one focus on the issue of long-term wellness. Is there a good resource for these life charts for our listeners that may be interested in learning more about them? Yes there is an access to them on a web site www.bipolarnews.org where we also have the newsletter put out 4 times a year, that they can print out the life charts and there are also available from DBSA, The Depression Bipolar Support Alliance Group as well. Great, and those are free, correct? Super. Lets switch our focus here to medication strategies. Is it possible in this treatment resistance, do people develop tolerance say to the gold standard treatments like lithium. Yes, it looks that can occur and we are making the distinction there in someone who never had a good response as opposed to intolerance, some one has a good long-term response for a considerable period of time and then begins to lose it, having more brief breakthrough episodes and then more severe and prolonged ones and this can really happen with lithium or any drug and the approach to that is to actually use more drugs with different mechanisms of action and different targets, so that you really try to get after anxiety symptoms, substance abuse, other components of the illness. 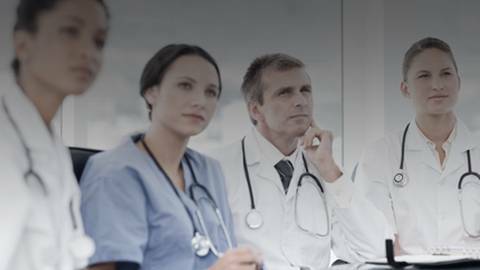 If you are just joining us, you are listening to the Clinician's Round Table on ReachMD XM157, the channel for medical professionals. I am Dr. Leslie Lundt, your host, and with me today is Dr. Robert Post. We are discussing treatment resistance in bipolar patients. What kind of medication strategies do you suggest for treating these patients, can you give us some examples? Well, most of our studies in the literature deal with monotherapy, single drugs for FDA approval. In fact with this illness, we are seeing that it often requires multiple drugs in combination, sometimes very complex regimens. So adding to lithium for example a lamotrigine for its excellent depression prevention effects or an atypical antipsychotic or another mood stabilizer, those are the kinds of things that often are very helpful in handling some of the symptoms that lithium is not as good for and there is even some drugs now that don’t work in mania for example, but are quite good for many of the comorbidities that come with this illness. For example, topiramate or Topamax does not have antimanic properties, but it can help weight loss, migraine prevention, alcohol, and cocaine avoidance and bulimia, eating disorders. So that we are trying to use more drugs, but carefully titrated below the side effects threshold of any particular drug or the whole regimen, so you can actually use more drugs together and have them better tolerated than trying to just get a full effect with 1 drug by pushing it to the side effects. I guess the hard issue here is what to do about antidepressants, the depressed phase of course is so common in these patients and I have heard so many different stories and studies about whether or not antidepressants are appropriate or not. What is the current thinking about that? Well, there is increasing evidence now from a variety of sources including a classic controlled clinical trial by Gary Sachs and his collaborators in The New England Journal of Medicine in 2007 that randomized patients who were on a mood stabilizer to the addition of an antidepressant for their depression or just continuing the mood stabilizer along with a placebo added in and patients did about the same with the addition of an antidepressant. So the data are suggestive that they are not the most wonderful drugs plus they have certain liabilities, some of the antidepressants can actually increase switching into mania and this wasn’t observed in the Sachs study, but we have seen that, particularly some of the drugs that seem to have an effect on norepinephrine. So it seems like the field is moving away from sort of a first use of antidepressants for bipolar depression towards using more mood stabilizers and atypical antipsychotics, which now have very good antidepressant profiles, first instead of going immediately to an antidepressant. Dr. Post, many of our listeners are not psychiatrists, they are in primary care, and I think one of the issues they struggle with on a daily basis is whether or not to give an antidepressant to somebody who presents to their office currently depressed, but may have a bipolar diathesis lurking in the background that is not obvious, any ideas on how to help them deal with the situation. Yeah, I think 2 really great screening questions, even if somebody is in a very busy practice and only has a minute to deal with it, is that to essentially ask every presumptively unipolar depressed patient whether they have ever had a period of increased energy and decreased need for sleep, because that seems to capture a lot of patients and many patients who would otherwise deny mania are perfectly happy to admit to these positive sort of symptoms and if the patient says yes to those symptoms, you can explore further whether they have had really hypomanic or manic episodes. Another really important thing is to ask about a positive family history of bipolar illness and that may help raise the suspicion that one could be dealing with a bipolar patient. That makes good sense. Well, thank you so much on behalf of all of my colleagues for all the work that you have done over the years and that you continue to do to educate us and our patients about bipolar disorder. We have been speaking with Dr. Robert Post who has just published a new book, Treatment of Bipolar Illness, A Casebook For Clinicians and Patients. We have been talking about treating treatment-resistant bipolar patients, the role of medication and the importance of using a life chart to help us treat these difficult patients. I am Dr. Leslie Lundt, you have been listening to the Clinicians Round Table on ReachMD XM157, the channel for medical professionals. 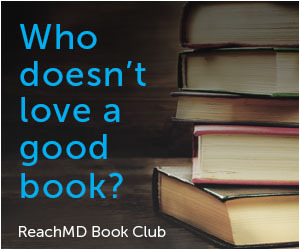 To listen to our on-demand library, visit us at ReachMD.com. If you register with the promo code 'radio', you will receive 6 months of free streaming to your home or your office. If you have comments or suggestions, please call us at 888-MD XM157. Thank you for listening. The efficacy of the gold standard for bipolar treatment as been reported to be as high as 80%. But in the real world, that number is more like 25%. Why the disparity? What can we do for our treatment resistant bipolar patients? Dr. Robert Post professor of psychiatry at George Washington University School of Medicine and Penn State College of Medicine and head of the Bipolar Collaborative Network joins host Dr. Leslie Lundt to give us the latest on how to diagnose and treat these patients.